What better way to start your Sunday morning than to be surrounded by beautiful and healthy-lifestyle enthusiasts who are not afraid to take on a challenge to show to everyone how important it is to live with a healthy heart! 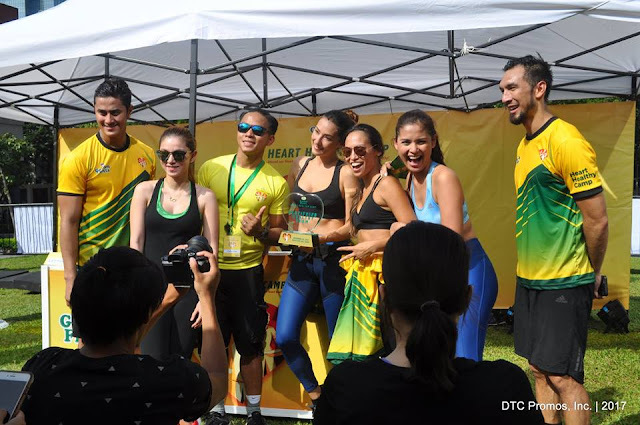 Dubbed as Heart Healthy Camp, the star-studded Sunday fitness-enthusiasts gathering was held at the Track 30th in Bonifacio Global City, Taguig. 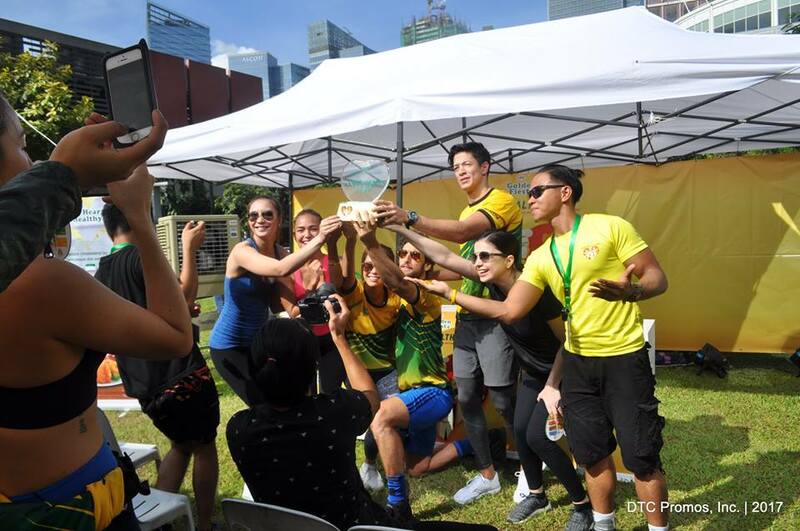 Led by my current favorite couple, the hubby and wifezilla Nico Bolzico and Solenn Heussaff, our Sunday morning was filled with cheers and laughter as the group of celebrities was divided into two - Team Nico and Team Solenn. For Team Nico, we had Miss Earth 2015 Angelia Ong, Mr. World Philippines 2016 Sam Ajdani, fashion designer royalty Sam Richelle, volleyball superstar Rachel Daquis and actress Ana Roces, while Team Solenn includes former Philippine Azkals player Anton del Rosario, actress Maricar de Mesa, Miss World Philippines 2015 Hillarie Parungao, model-mom Angel Jones and 2012 Manhunt International June Macasaet. The Golden Fiesta Heart Healthy Camp had five heart-thumping sections, (1) Heart Pumps, (2) Heart Skips and Heart Beats, (3) Elastic Heart, (4) Heart Waves, and (5) Heart Swing. The morning was competitive but still with a huge vibe of friendly competition, with teases mostly coming from Team Nico. Before the winning team was announced, a short cooking demo featuring the heart-healthy Golden Fiesta Canola Oil by celebrity chef and fitness buff Jose Sarasola. And for the winners, well, we had Team Nico as the champion for this session,w hiel Team Solenn got the runner-up title. Congrats Team Nico and Team Solenn! And thank you and congratulations too to Golden Fiesta! Until next time!